no age bar for participating in the contest. 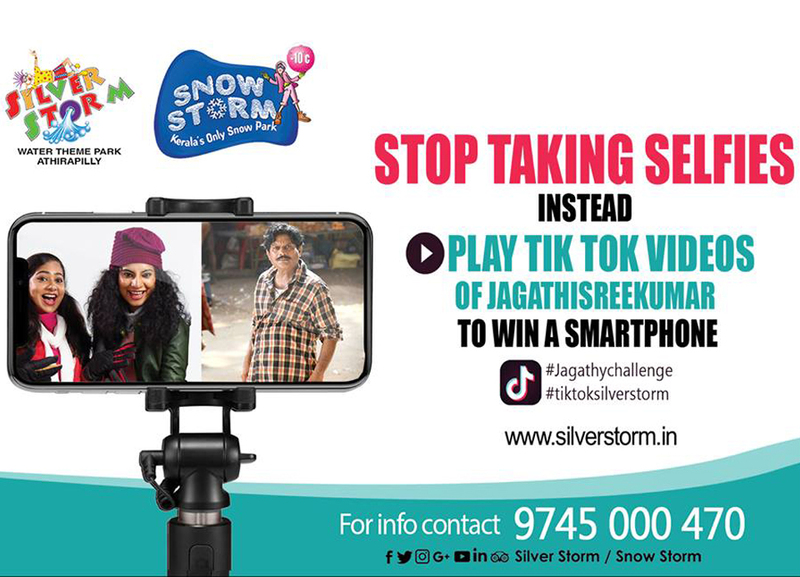 ‘Like’ and ‘Follow’ SILVER STORM across all Social Media platforms and upload your TIK-TOK video using the tags #tiktoksilverstorm and #jagathychallenge and tag our Facebook Page to enter the contest. Winners are selected according to the max. No. of likes. The winner will be solely selected by Silver Storm Group. Participants will have to share the video and get max. No.of likes on the shared video. Participants can start uploading their video on 11 th April 2019. ID proof will be required on demand. Silver Storm reserves the right to substitute or revise the rules and regulations of the contest.